We are raising money for our kids program and to be able to play at the staples center before the Clippers game that same day. If you buy $100+ worth of tickets, you and a guest will be invited to play 5on5 at The Staples Center center court at 1PM December 1st. This is going to be an amazing day of basketball… Please support and join THE FUN! 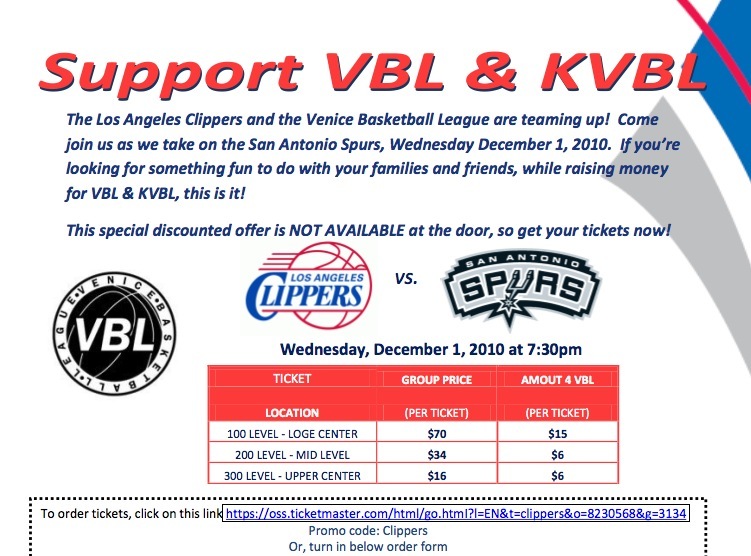 The Los Angeles Clippers and the Venice Basketball League are teaming up! 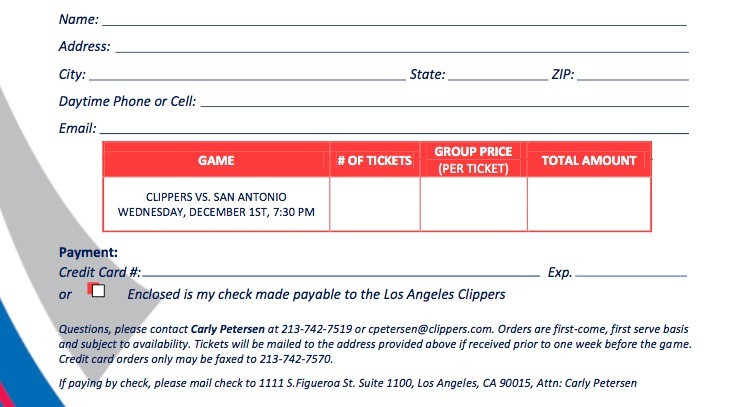 Come join us as we take on the San Antonio Spurs, Monday December 1, 2010. If you’re looking for something fun to do with your families and friends, while raising money for the VBL & KVBL, this is it! This special discounted offer is NOT AVAILABLE at the door, so get your tickets now! Even if they had a poor start of a season The Clippers are one of the most exciting team in the NBA, highlights waiting to happen any minute, prepare for a big upset from the under estimated underdogs.